There are at least three lines of fire that affect the Basque economy nowadays. As for the first one, take a look at the 140th anniversary celebration of the Basque fiscal status under Spanish rule. 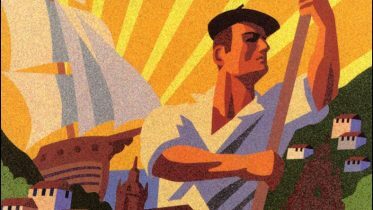 The so called Kontzertu Ekonomikoa in Basque or Concierto Económico in Spanish is the tool that Basque institutions in the Spanish kingdom still retain today, from what used to be full fiscal self-governance. With this sort of Fiscal Agreement (FA), 140 years after the Carlist Wars, Spanish authorities accepted that Basques would still set and collect their own taxes, although they would have to contribute to “common” expenses like the Spanish crown, its army and so on. Navarre has a similar FA of its own. Some weeks ago, the Basque governmental bodies celebrated their 140th anniversary. Isn´t 140 a weird number to celebrate, after all? It is indeed. They decided not to wait 10 more years for the FA to become a century and a half old. Why is that? The FA once suspended by Franco with Gipuzkoa and Bizkaia is nowadays questioned and under attack from some Spanish parties and politicians. They consider it a medieval privilege that gives Basque institutions more euros per capita to spend than Spanish regional governments. Nevertheless, Basques often pay more taxes than Spanish taxpayers. And they must assure they collect enough taxes to pay for their own public services and to pay the cupo (called aportación in Navarre): the final payment that goes to the government in Madrid to cover common expenses. The Basque system has some checks and balances on its own because there are actually four governmental bodies that collect taxes (three in the Autonomous Region of the Basque Country (ARBC) and the other one in Navarre). The three in the ARBC contribute about 75% of what they collect to the central government of the Basque Autonomous Region. Every five years, the government of Navarre and of the ARBC negotiate separately with the Spanish government, the exact annual amounts they are to contribute. The ARBC contributes 6.24% to common expenses, more than its own weight in population (barely 4%) or GDP (around 6.1% in the last decades). And guess what, the final payments, signed by both governments, must be approved by Spanish parliament, where Basques hardly reach a 10% representation. Pedro Luis Uriarte, former BBVA CEO and a Basque Government member in the early 80s, is considered the father of the modern Basque Kontzertu Ekonomikoa. And it seems to me that, like the Basque Lehendakari (President) Urkullu himself, he is quite worried about the recent attacks the FA is undergoing. They are promoting social reaction to defend the FA. Take into account that indirect taxes like VAT or taxes on hydrocarbons, alcohol or tobacco are set in Madrid, although collected by Basque fiscal authorities. Other taxes, like personal income tax or corporate tax are, basically, under Basque rule although the “overall tax burden” must be the same as in Spain. This gives Basque institutions the option to adapt some taxes, to some extent, to their own needs and politics, acting “business friendly” when required and/or raising taxes when considering that that’s what is needed. And yes, always subject to Spanish political and judiciary supervision. Nowadays, that´s what Basque fiscal autonomy is about. And having seen it menaced, has made them celebrate the 140th anniversary of the FA. Hopefully, there shall be an opportunity to celebrate the 150th as well. The second line of fire has to do with labor relations and whether the Basque level of labor relations actually exists or not. The Basque trade unions and corporate unions signed a treaty to prioritize their own collective bargains over the Spanish ones in 2017, after the last Spanish Labor reform in 2012. Now, that treaty has been put under allegation by some Spanish sectoral corporate union, given that Basque salaries tend to be higher than Spanish ones (as is productivity). All this may be important because the main Spanish trade unions represent only a minority of Basque workers, except in Navarre. The third line of fire crosses from Trump to China, but touches the Basque Country too: tariffs on steel, aluminum and its manufactures have been suspended for now, as far as the EU is concerned. That´s good news, given that Basque exports of these products to the US sum up to 0.5% of Basque GDP and may affect some important companies, like Tubos Reunidos, that makes steel tubes and is an important player in the northwestern part of the province of Araba. Anyway, a relatively small and open economy, like the Basque one, could be badly hurt by a tariff war, although most Basque exports still go to the European Union. Be the first to comment on "Three Lines of Fire"